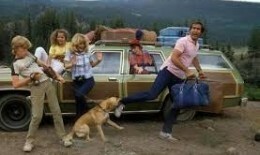 MONEY TALKS - Now that school is out and vacation is in full swing it’s inevitably time for dad to pack up the family truckster and head north for the annual summer vacation. Unfortunately, between the costs of food, fuel, and accommodations; vacationing can be a source of stress for many families on a tight budget. Here are ten life hacks guaranteed to save you money without sacrificing family fun. 1. Rent a Vacation Home – If your family is large enough to require multiple hotel rooms, then renting a vacation home instead could save you hundreds of dollars per night. To boot, rental properties offer amenities like an eat-in-kitchens, multiple bathrooms, and outdoor living space that most hotels cannot compete with. For a listing of accommodations, check out vrbo.com, homeaway.com, and airbnb.com. 2. Pack a Cooler – Bringing your lunch with you has several advantages; you can pack exactly what you want, eat whenever you please, and avoid lengthy food lines. Not to mention you can easily save $10 to $15 per person by avoiding the latest “meal deal” complete with souvenir cup. Several kid friendly amusement parks such as Storyland and Santa’s Village actually allow you to bring your cooler into the park. Don’t forget to pack bottled water! 3. Buy Before You Fly – Make sure you stock up on toiletries, sunscreen, batteries, and other essential items before leaving for vacation. Purchasing these items at a large retail store such as Amazon, Walmart, or Target will be much cheaper than buying them at the hotel gift shop or local convenience store. 4. If it’s Free, it’s for Me – There are lots of fun activities that don’t charge an admission fee. Take a trip to the local beach, visit a state park, or if you are feeling adventurous climb a mountain. Not only will your wallet thank you, but more often than not, these outdoor activities have a habit of tiring out the kids (and parents) so you will likely get a good night’s sleep. 5. Visit the Library – Your local library may offer free or discounted passes to educational attractions such as museums, aquariums, and zoo’s. These passes often get reserved several weeks in advance so make sure you call ahead to check on their availability. 6. Check the Local Ads – Pick up a copy of the local advertisements outside the town grocery store. In many of the resort towns; local restaurants, theme parks, arcades, mini golf, etc. offer coupons or discounted deals to try and attract vacationers who don’t yet have plans and are looking for a family fun activity. 7. Give Your Children an Allowance – While this may sound counter intuitive, it’s often very difficult to avoid pleas for mementos by tired children when exiting the souvenir shop. Rather than purchasing another stuffed animal that will be at the bottom of a toy bin in 3 weeks, consider setting a daily spending allowance for your kids. Let the kids think they are in control by giving them $10 or $20 to spend on ice cream, candy, popcorn, jewelry, glider planes, or whatever else there choose. Once the money is gone, it’s time to go home. 8. Avoid Restaurants – Eating out will burn a hole in your wallet faster than anything else during your vacation. For breakfast consider eating fruit, cereal, and milk in the hotel room (or vacation home) rather than spending $16.95 per person at the local breakfast buffet. Pack sandwiches, chips, and drinks for lunch. If you are traveling with friends or other adult family members, consider alternating nights to cook dinner for the group. 9. Leave the Kids with Grandma – Cutting costs is easy when you have half the people. Consider asking your parents or another close relative to watch the kids for a night or two. Hop in the car and head to the mountains, lakes, ocean, city or wherever else you please. Come home feeling relaxed and rejuvenated. Don’t forget to get Grandma a gift! 10. Consider a Staycation – Rather than spending money on a hotel or rental property, consider staying at your own home. Hire a professional house cleaning service to tidy up your home, drop off your laundry for wash-and-fold service, and pay the neighbor’s kid to cut your lawn so you don’t have to worry about the little things. Plan a few day trips and go to some local restaurants that you have been meaning to try.